High pitch rolling action makes blinking flashing action which strongly attracts big fish. 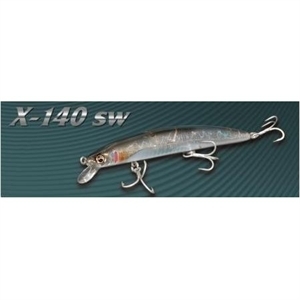 The natural and fine action of X-140 SW is the ultimate weapon for big fish hunters. Long body makes large darting action. High density tungsten weight with Megabass's original "Aero Body" for maximum casting distance.